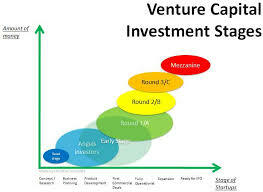 Venture capital funding is a kind of financing by business capital: the type of private equity cash is provided since seed funding to help early-stage, high-potential, growth companies and more often after the seed funding around as growth funding round within the interest of producing a return using an eventual realization event for example an IPO or maybe trade sale on the company. High growth incorporation tends to choose venture capital funding to hasten the subsequent growth phase. Venture capitalists who give attention to the company’s growth pattern do not require the pledging of assets as required by lenders just like banks.